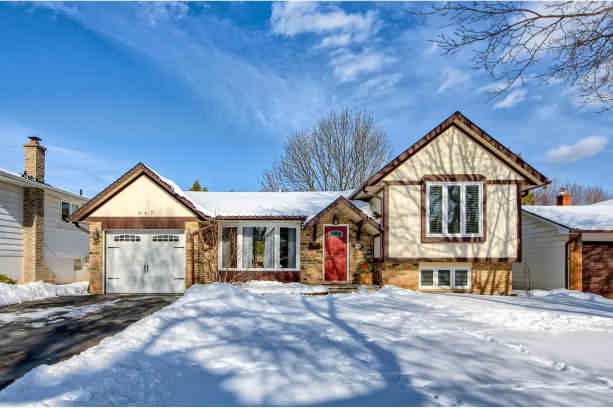 Beautiful newly renovated bungalow in Shoreacres. Everything has been done, inside and outside. Wide plank oak floors, 7.5” baseboards, loads of LED pot lights. Smart Home technology with Lutron Caseta hardware, built-in Google Home voice assistants, and security cameras. Welcome to “The Brownstones”. 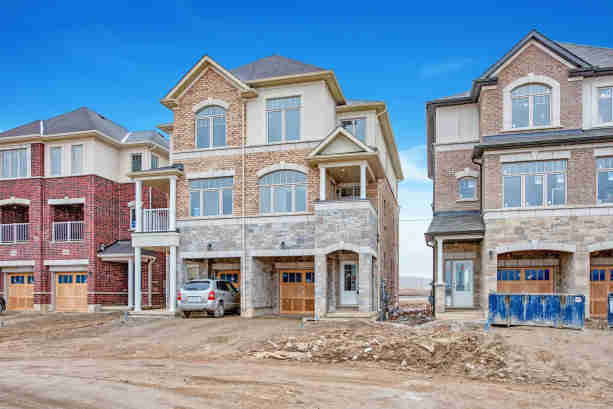 A private enclave of stately Georgian brick and stone executive townhomes backing onto wooded ravine with walking trails, park and pond. This end-unit home offers over 2,250 total sq ft with a finished basement featuring a walk-out to open green space (common area). With green views from virtually every room you’ll feel at peace in this beautifully appointed home. Renovated kitchen with newer cabinetry and appliances opens to large back deck. Indoor access to garage, 9’ ceiling height, California shutters and silhouette blinds throughout. Main floor with hardwood, crown moulding and fireplace. Quiet, tree-lined street in heart of Ford Drive (Eastlake). 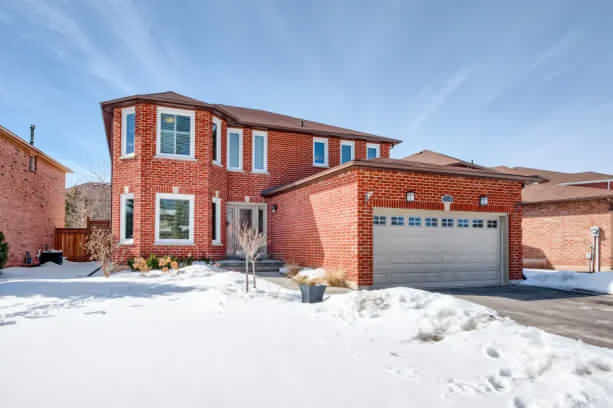 This is your opportunity to get into one of Oakville's most exclusive neighbourhoods and school districts at a price that will allow you to put down roots and turn this meticulously maintained home into your family's dream home. Since 1973 Canterbury has been the much loved home of only one family. It has been truly cared for and it shows. 65' wide lot, offering lots of backyard space. 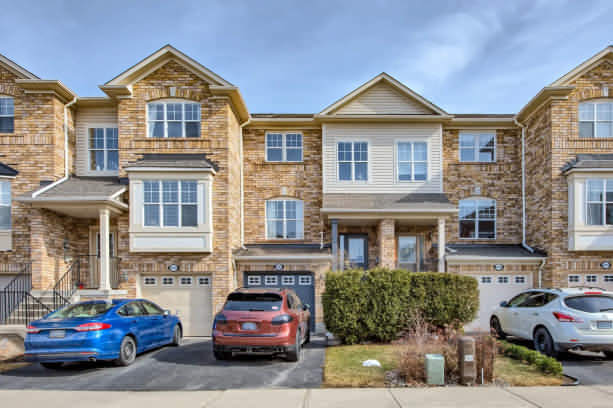 Above grade interior offers over 1,770 sq ft, replaced windows, hardwood (under broadloom), gas fireplace, 2015 roof and four beds with master bath. Everything you need is here. Take advantage of the unfinished basement (furnace approx 2005). House is in great repair and you could certainly enjoy as-is. Double car garage is a huge feature not often associated with this price point. This neighbourhood is so in-demand in-part because it is close to the local schools which is great for children who want to walk or ride. 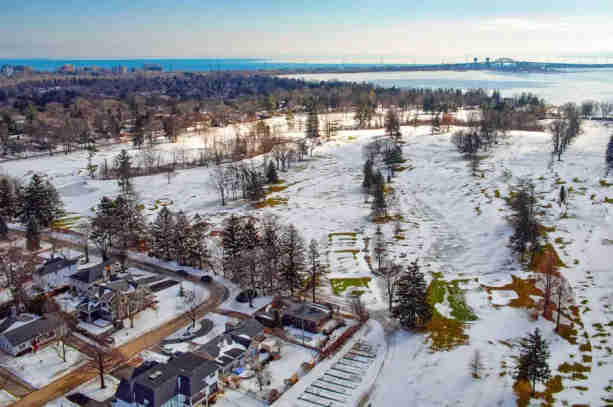 Amazing building lot that both backs onto and sides onto the Burlington Golf and Country Club with very long views due West and due South to the lake. The approx. 90’ x 125’ has R2.1 zoning. which will allow a home to be built of up to 5,056 sq ft (above grade). 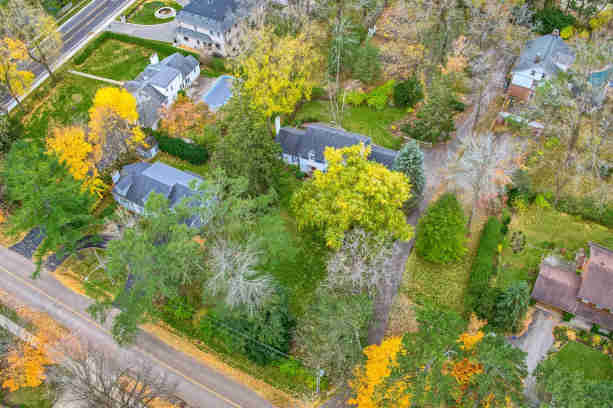 Quiet, tree-lined street located within a desirable school district. Ideal location just a short walk to the lake and nearby amenities. 5-minute drive to the Burlington GO station, QEW access, and charming downtown Burlington! This is a one and only type lot, you simply won’t find another lot with golf club and long vistas like this one. Please be sure to view the zoning analysis in our downloads section prepared by renowned architect, Bill Hicks for information pertaining to setbacks etc. West exposed building lot with a livable home. 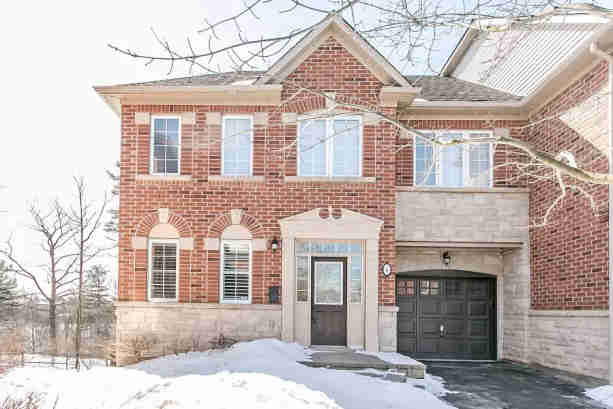 South East Oakville building lots are becoming increasingly rare, and this one is in an ideal location less than a 10-minute walk to shops, restaurants, and the lake. Fantastic local public and private schools. Build up to 5,660 sq ft (above grade) on this 105’ x 173/205’ irregular lot with RL1-0 zoning. 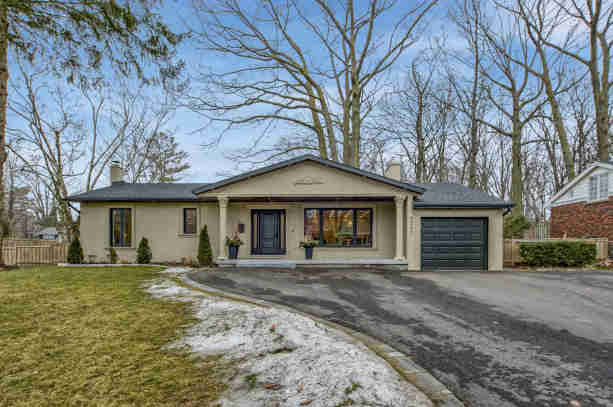 Nestled amongst soaring mature trees and stunning custom homes, this can be your piece of paradise just 45 minutes from bustling downtown Toronto! See the Zoning analysis in our downloads section for building information. Everything in this home has been taken care of! Completely updated and renovated with designer touches throughout. 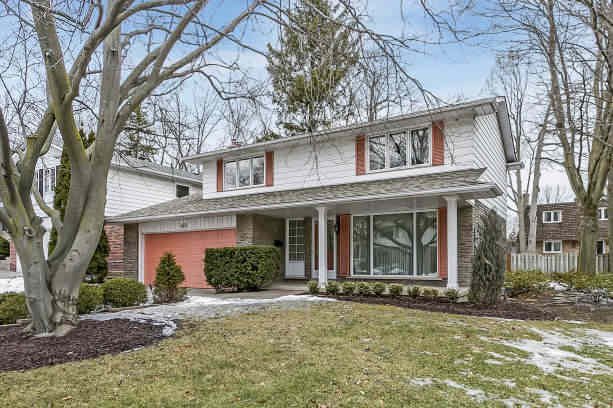 Located in south Burlington on a quiet court with a fully-fenced, large backyard with deck and plenty of green space. Open concept main floor features oversized windows flooding the interior with natural light. Full kitchen renovation (2017) with new stainless steel appliances, farmhouse sink, quartz countertops, subway tile backsplash and pot lights. Updated spacious bathrooms. Freshly painted throughout with newer flooring, lighting and interior doors throughout. The second level offers a master retreat complete with a new closet system, generous sized kid’s rooms and a very functional main bath with oversized vanity and bathtub/shower unit. Bright one bedroom plus den condo at the Mint! This 713 sqft unit offers gorgeous wide plank flooring, stainless steel appliances, and soft-close cabinetry. Fantastic floor plan with a spacious entry and true oversized den. Open-concept kitchen with upgraded central island overlooking your living/dining room with walk-out to balcony with views of the CN tower! Ample storage space, including a walk-in closet, double coat closet, full-size laundry room, and convenient same-floor storage locker.